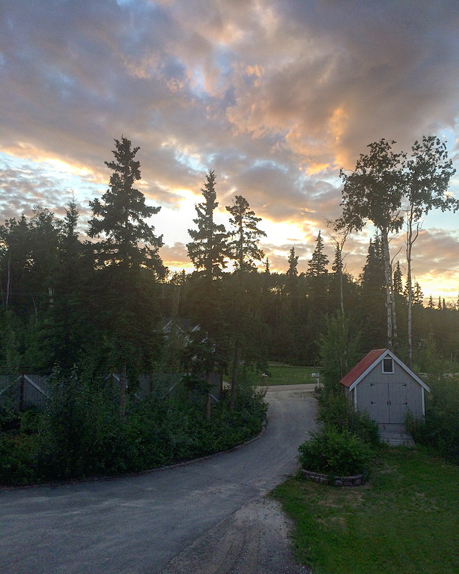 I’m back from a two-week trip to Alaska, researching my second novel and reporting for an article, and Portland, Oregon, where I attended the Tin House Summer Workshop. Both of these places proved to be magical in their own way. Alaska, Land of the Midnight Sun, is such an atmospheric place. It was an intense few days of researching and reporting but I couldn’t get enough of it and am so glad to have visited. Already revising a lot of the ideas I had for the book: To see it is vastly different than just reading about it. And it’s the perfect setting for magical realism. Because there’s so much that’s dreamlike, yet familiar. Then there was Portland and Tin House. The workshop couldn’t have been better. I was so lucky to study with Mat Johnson—who incidentally lived in Alaska for several years, gave me a lot to think about and is a stellar instructor. Thanks to my friends Sanderia and Becca, and to the conference coordinator Lance, for recommending him for this project. The atmosphere of the entire conference was friendly, low key and just kind—kudos to all the organizers, teachers and attendees who made it so. Oh and it was held at Reed College where my youngest nephew goes to school, so I got a taste (and that was enough!) of his dorm life. Several weeks ago while trying to come up with the right order of words to convince the wonderful folks at writing conferences to fund me for attending, I decided instead to write a humor piece on the topic. The result is out today on the Brevity’s Nonfiction Blog: The Perfect Writing Conference Scholarship Essay. So grateful to have attended the Writers in Paradise conference as a Les Standiford fellowship recipient, where I met and learned from writers and instructors including Les Standiford, Lan Samantha Chang, Sterling Watson and Richard Blanco. Back from another two-week residency at the NOEPE Center for the Literary Arts where I revised my entire book and came back with several new friends, three of who live in my neighborhood. We wrote feverishly (yes, I know, adverb), collaborated on drawings, had impromptu craft talks and even made music—I took my ukulele knowing I’d have a captive audience! An essay of mine is out in The Globe and Mail today. I just ended a six-month stint as the interim online editor of Scientific American. 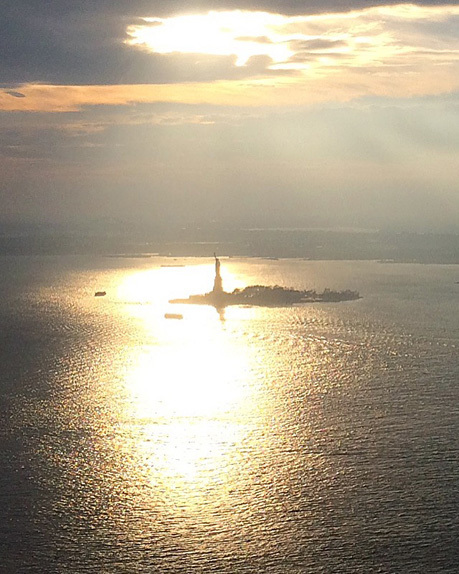 The experience, the people I worked with and the view, were nothing short of amazing. Here’s what I saw out my window! The amazing folks that run Taos International Journal of Poetry & Art--one of my favorite journals--have, in their seventh issue, included Khayyam: an infinite pursuit, an essay on my relationship with the poet. Just back from a most perfect few days on Martha’s Vineyard. 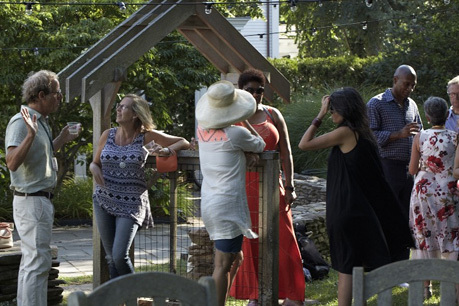 We stayed at the NOEPE Center for the Literary Arts with a few swoon worthy writers like Charles Blow, Ta-Nehisi Coates and Erik Larson, among others, attended the MV Book Festival, watched Junot Diaz read at the center’s garden and made an infamous dinner at the house. Here’s a photo of my friend, author Sanderia Faye, and I chatting with the lovely poet and novelist Jennifer Tseng. Excited to receive in the mail today the other four books I wrote for Scholastic. 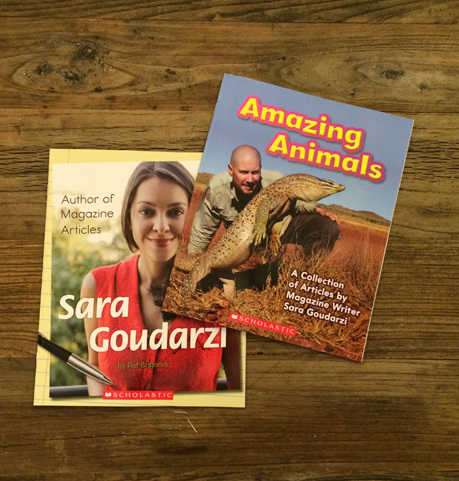 Like Amazing Animals, these titles will be distributed to kids in schools around the country. Here's a very short snippet of the author interview for my Amazing Animals book. It's intended for kids to watch as an accompaniment to the book. I had fun filming this, thanks to the wonderful team at Scholastic, and was happy to share my thoughts on writing with those who write for fun or want to make a career out of arranging words! Interview clip from Information in Action by Nell K. Duke (c) Scholastic, 2015. Anthony Rhoades and I trekked around Brooklyn to meet some of the wonderful folks selling Christmas trees. It was quite a cold day but we had tons of fun. Here's a link to our photo essay: Fir Sale. I interviewed the talented Vikram R. Paralkar on his fantastical and fabulous debut book, The Afflictions, for One Journal. Excited to receive these books today. Published by Scholastic, one is a collection of some my articles written on animals for various magazines, the other, written by Pat Brigandi and shot by Anthony Rhoades, is a look at my writing process. Both books are aimed at first graders and will be available in schools nationwide. I have a humor piece up on The Science Creative Quarterly, one of my favorite publications: Space Chatter: A meeting of two probes. 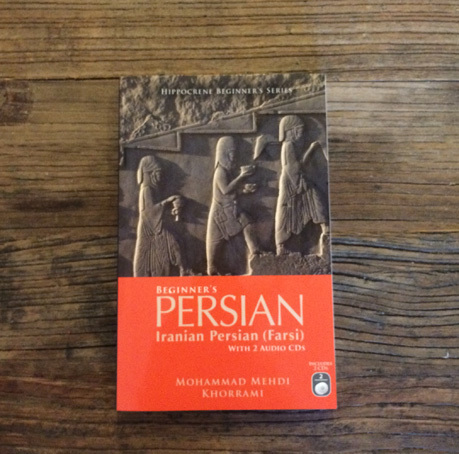 A friend recently asked me for a Farsi instruction book recommendation and I remembered this wonderful text by Khorrammi for whom I did some of the voiceover work on the accompanying CDs, available on Amazon.